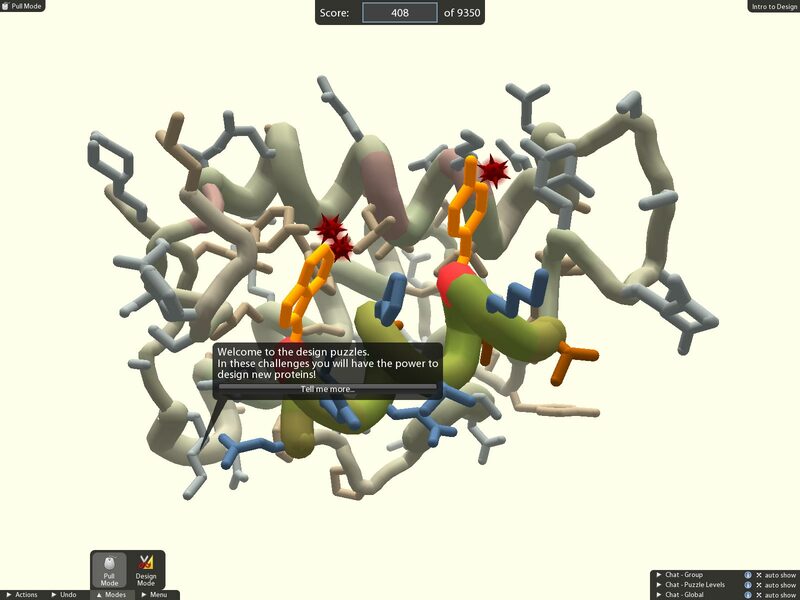 Foldit is an online game that uses crowdsourcing to enable players to contribute to scientific research about protein folding, a vital biochemical process at the basis of most cellular function. Foldit has turned a complex process into a simple, addictive game—often compared to solving a 3D jigsaw puzzle — that gives players both the thrill of competition and the satisfaction of contributing to a project that has critical social impact. Foldit introductory level introduces the process of freezing. A large red void in the center of the protein shows empty space to be filled. In the lab at Foldit. In the laboratory at Foldit. 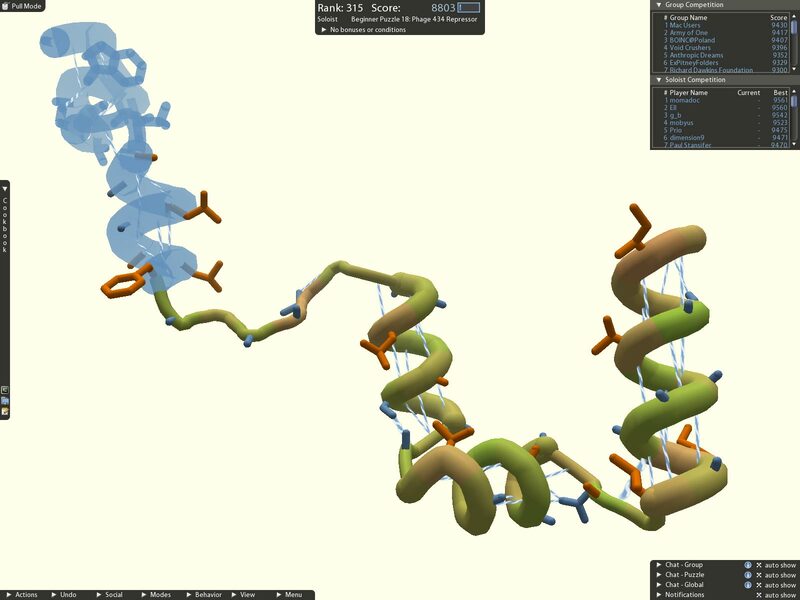 A protein displayed in Foldit. The protein folds up into curly helices and flat sheetsa. Hloue hydrogen bonds and spiky red clashed float around the protein, giving then play information about how he protein has folded. A fold introductory leve protein, introducing protein design. The player can change the structure of the orange sidechanins. But making them smaller, the spiky red clashes can be fixed. A sequence of images playing an introductory level with rubber bands. Hydrogen bonds are created with the two sheets. 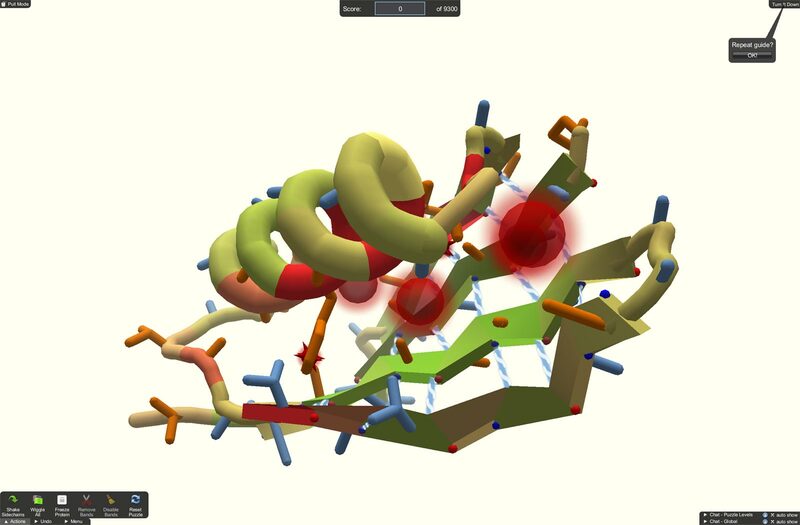 Foldit began as an experimental research project, developed by the University of Washington’s Center for Game Science in collaboration with UW’s Baker Biochemistry Laboratory. Crowdsourcing is the basis of Foldit’s success: it uses the creative problem-solving of thousands of people to refine computation. 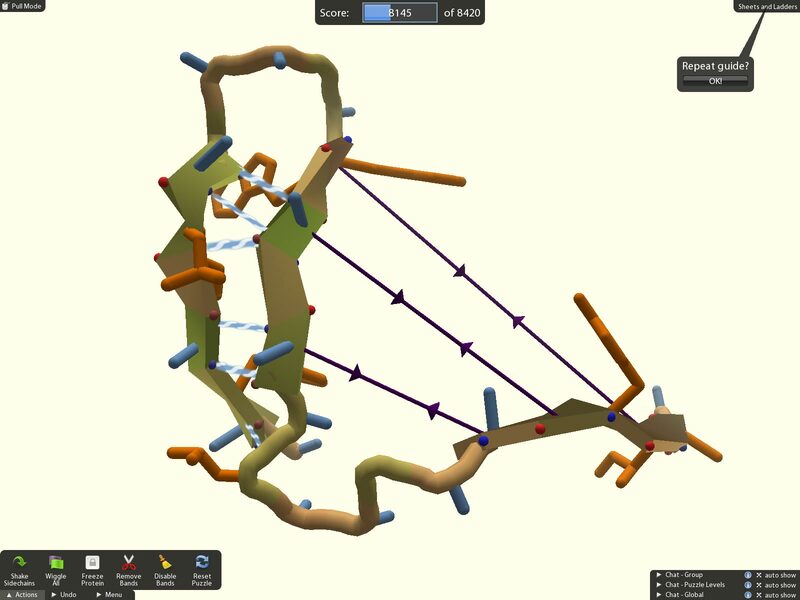 The winning designs created by the gamers help researchers learn more about the shapes of proteins. 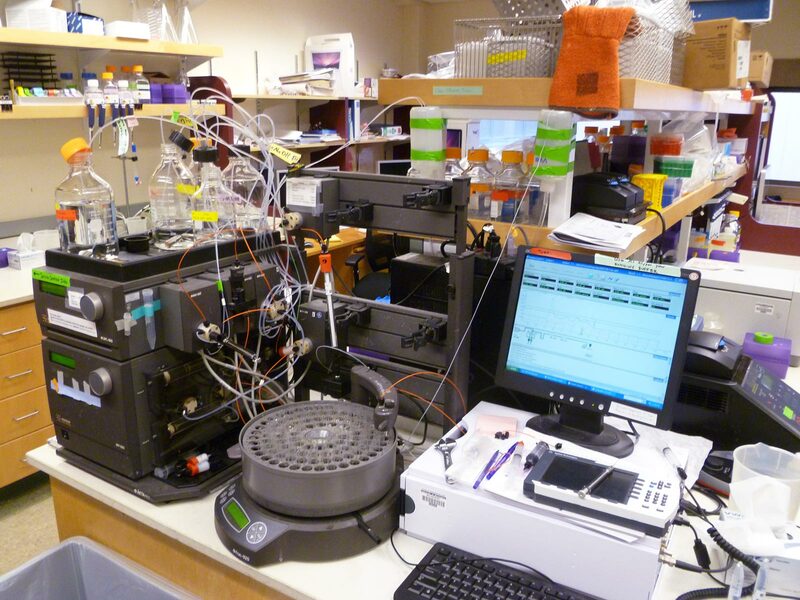 The more we understand about these structures, the easier it is to design new proteins that can “shut off” mutation, leading to the development of vaccines and disease-curing drugs. 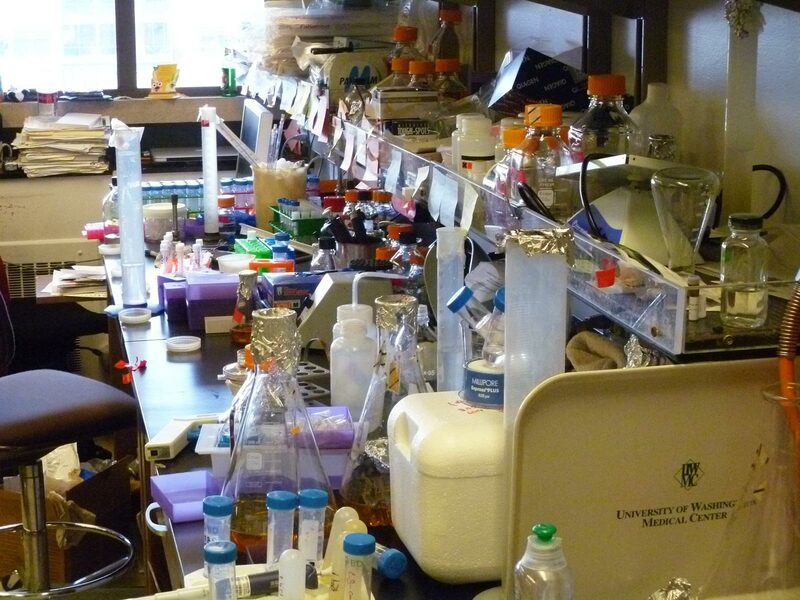 In fact, Foldit players are already solving biochemical problems that were stumbling blocks to scientific research. For example, in 2010, players determined the structure of a key protease, or protein-cutting enzyme, of the Mason-Pfizer Monkey Virus (M-PMV), a retrovirus that leads to AIDS in rhesus monkeys. 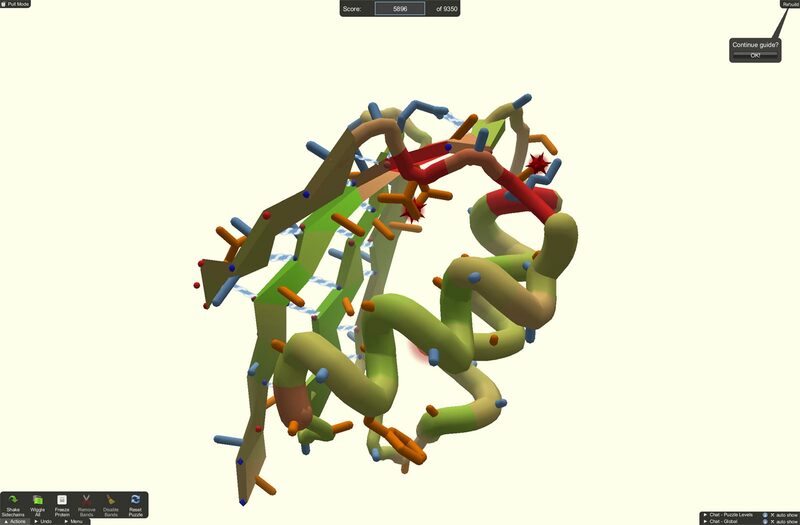 It took Foldit three weeks to complete a task that biochemists had struggled with for over a decade. 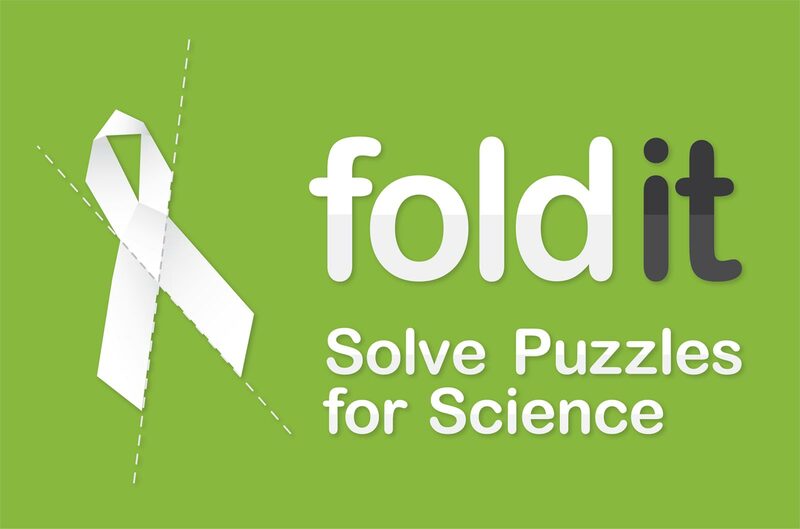 By taking complex biomedical problems, and crowd-sourcing their possible solutions, FoldIt has democratized a design process typically isolated in a lab and innovated a way for amateur players and designers to help solve the world’s toughest medical questions.